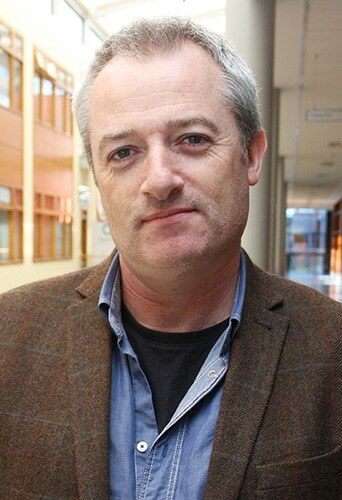 Dr. Pádraig Murphy is Lecturer in Communications at Dublin City University, Programme Chair of the MSc in Science Communication and Director of the DCU Societal Impact Platform. His teaching and research interests include science communication, Science and Technology Studies, public participation in, and public and media representations of, science and technology and Responsible Research and Innovation policy. An environmental science graduate, Dr Murphy’s background also includes content management in elearning. He is author of Biotechnology, Education and Life Politics: Debating Genetic Futures from School to Society (Routledge, 2014). Dr. Murphy is also coordinator of the Celsius research group at DCU and part of the Management Board of DCU Community Knowledge Exchange, a ‘science shop’ based in DCU. He is also co-chair of Campus Engage and Work Package Leader on the Framework 7 project ‘PERARES’, a project which connects community-based research across Europe. His current research and writing has focused on deliberative and participatory dialogue models for biotechnology, nanotechnology, and sustainable technologies, as well as how such technologies can be part of a policy of anticipatory governance. He managed a citizens’ jury on the trialling of the GM potato in Ireland – the #gmpotato Community of Inquiry project – funded by the Irish Environmental Protection Agency.